Bacon grease is the bacon dripping when the bacon fat is heated. 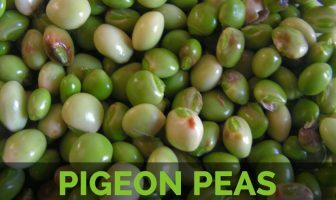 It is flavorful which is usually used for the cooking purposes. In Southern US and British cuisine, it is preserved and used to enhance flavor to the cornbread, gravy and salad dressing. It has high melting temperatures. 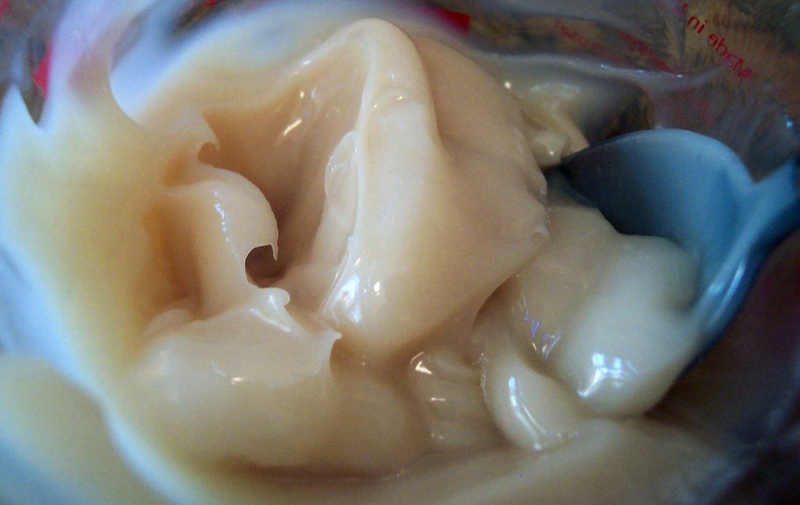 About 38 calories are found in bacon grease. It contains about 40 percent of saturated fat. Though it has side effects, it is widely used in the cuisines of American South. 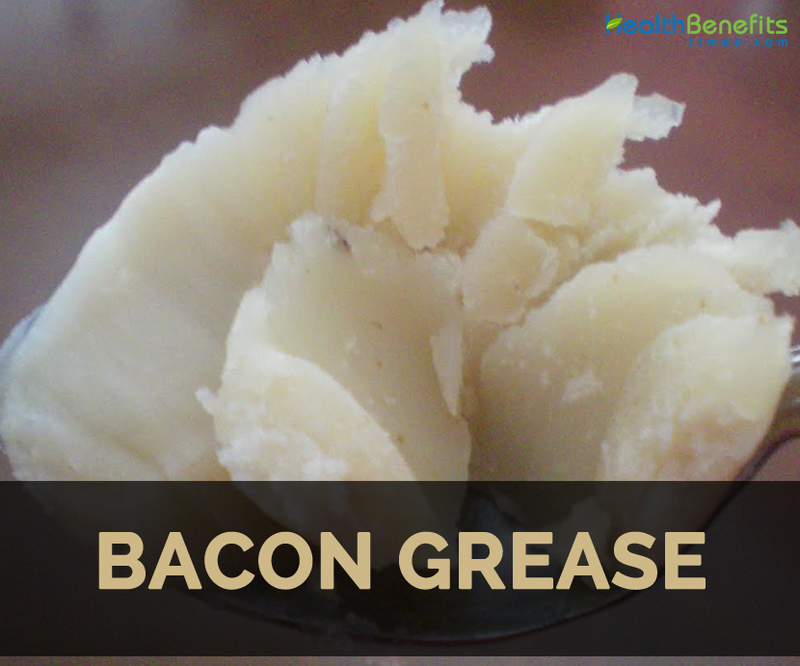 One teaspoon of Bacon grease grants 39 calories, 4.28 g of total lipid fat, 1.8 mg of choline, 0.03 mg of Vitamin E, 0.02 g of ash, 0.03 mg of Vitamin E, 0.1 µg of Vitamin D, 0.1 µg of Vitamin D3 and 4 IU of Vitamin D. It also contains 0.004 g of capric acid, 0.009 g of lauric acid, 0.056 g of myristic acid, 1.018 g of palmitic acid, 0.578 g of stearic acid, 0.115 g of palmitoleic acid, 1.763 g of oleic acid, 0.043 g of gadoleic acid, 0.436 g of linoleic acid, 0.043 g of linolenic acid and 4 mg of cholesterol. 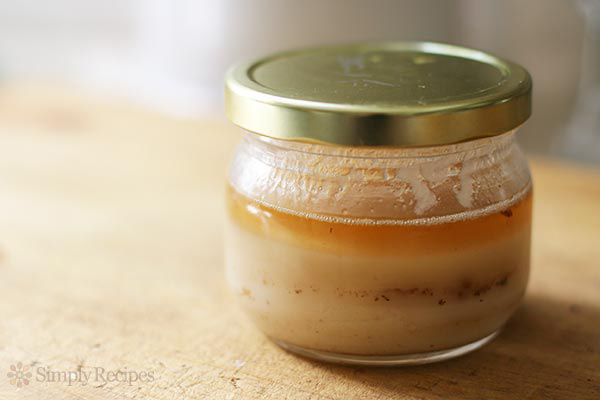 Bacon grease is used to heal and soothe small cuts and scrapes. Rub cooled grease on small cut to provide relief from swelling and redness. Bacon grease could be used to remove splinters. Firstly clean the area and then rub grease over splinter. Cover it with a bandage. Let it remain overnight and then remove the bandage. The grease softens the skin and loosens splinter. Try it again, if the splinter becomes stubborn. The high content of saturated fat is associated with heart disease and might cause heart attack, stroke due to the buildup of plaque in the arteries. 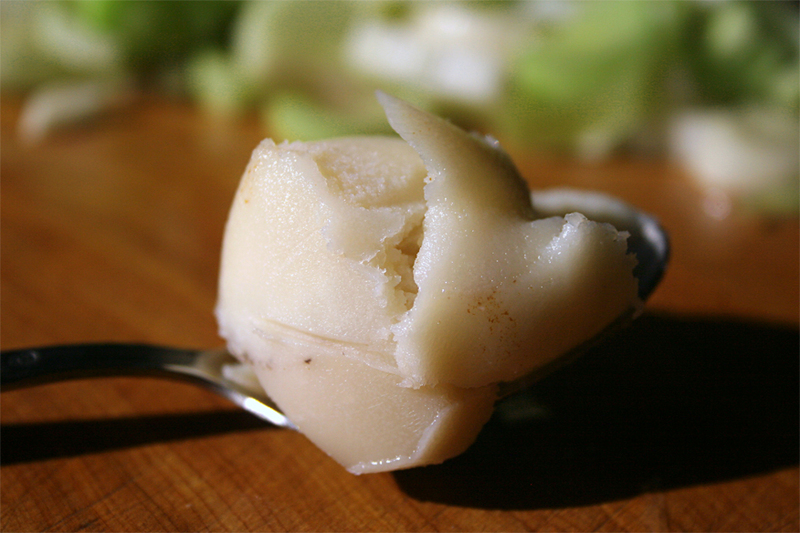 It could be used as a substitute for butter when frying potatoes and scrambling eggs. It is also used to add pork flavor to caramelized onions. Use it as a base for sauté vegetables. Before roasting, rub on chicken breasts. Fry the bread in grease. Use it instead of vegetable oil. Cook the breakfast foods such as pancakes, eggs, sausages and waffles in bacon grease. It could be spread over roast. It is used cakes and cookies. It is used to fry bacon. It is the flavorful oil. It should not be used in excess. 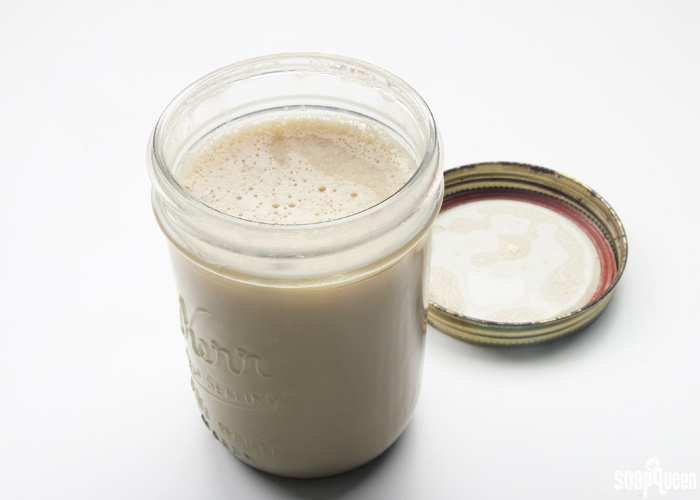 Bacon grease is one of the flavorful oils. 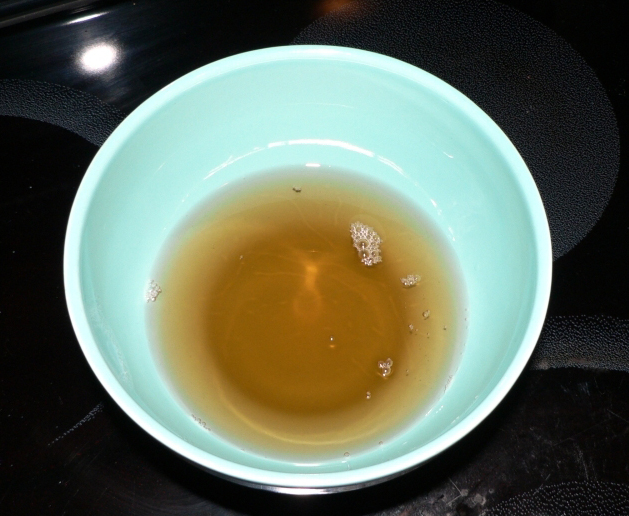 It is used as an all-purpose flavoring and base for recipes. One teaspoon contains 38 calories. Bacon grease could be used as a fire starter. Use bacon grease to grease a pan to add delicious smoky flavor to the bread. It could be kept in a refrigerator for a month. Calories in 1 tsp. (4.3 gm) 39 Kcal. Calories 39 Kcal. Calories from Fat 38.52 Kcal.